On 5 October 2016, the World Green Building Council has announced the recipients of is year’s Asia Pacific Leadership in Green Building Awards. Hong Kong’s Double Cove project won the Leadership in Sustainable Design and Performance – Residential award. We at GB Tech Consulting Ltd are proud to be the environmental consultant for achieving the China Green Building Label 3-Star Certification for this project, the highest category for green building certification in China. 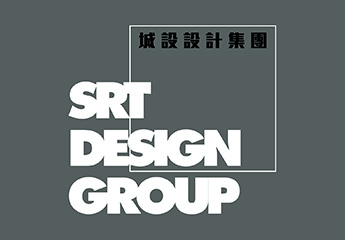 If you would like to know more about this project or our environmental service, please feel free to contact us by email: info@gbtech-srt.com or call us now: +852 2508 6666 / +86 755 2870 8488. The Asia Pacific Leadership in Green Building Awards celebrate the iconic green buildings, up-and-coming innovators and inspiring companies driving change and creating a better future throughout the region. Presented by the World Green Building Council and its Asia Pacific Regional Network of Green Building Councils, this biennial programme recognises four award winners across two categories. The Business Leadership in Sustainability Award rewards companies that challenge boundaries, integrate sustainability into their business models and make an outstanding contribution to a sustainable built environment. The Leadership in Sustainable Design and Performance Award is presented to pioneering green building projects that set new benchmarks for sustainability. There are three sub-category winners for residential, commercial and public buildings. Double Cove has won a number of international awards for best high-rise development. Phase 1 has achieved Platinum BEAM accreditation, with provisional accreditation for other phases and Gold pre-certification under the LEED-ND rating tool. Double Cove shows how highrise can be highly sustainable.